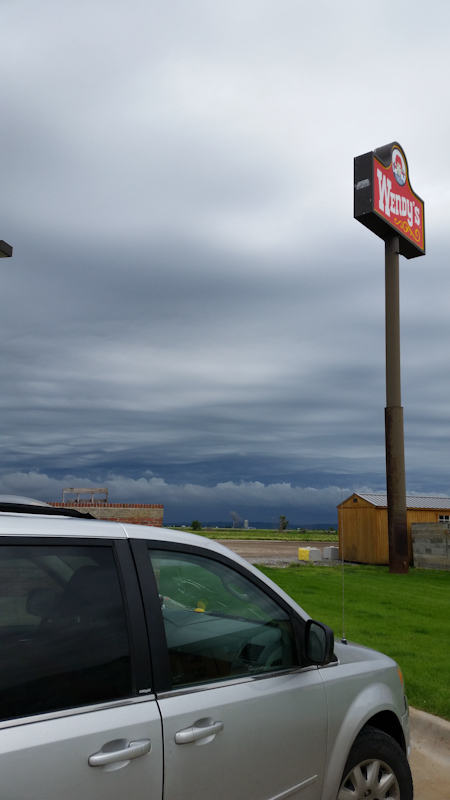 Warm front chase in northeast Nebraska. 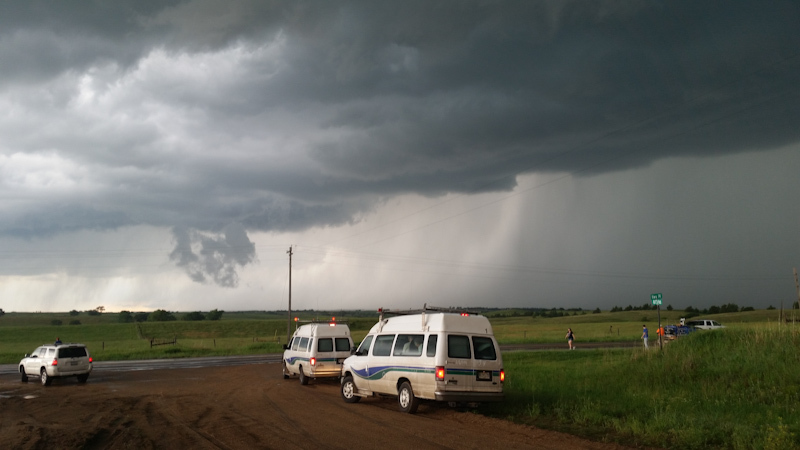 Intercepted classic supercell east of O'Neill but storm fizzled after first cycle of wall cloud and RFD clear slot. 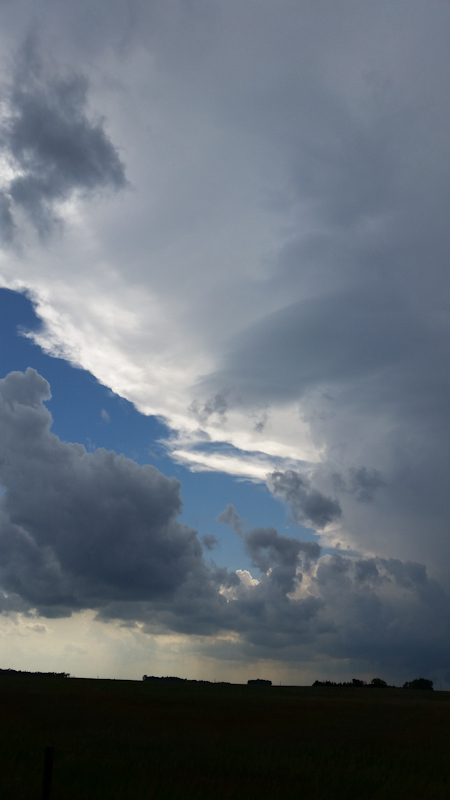 Second storm exhibited supercell structure but quickly fizzled as well. I was teamed up with Sean Casey and crew for the 2015 chase season helping them shoot an IMAX movie. 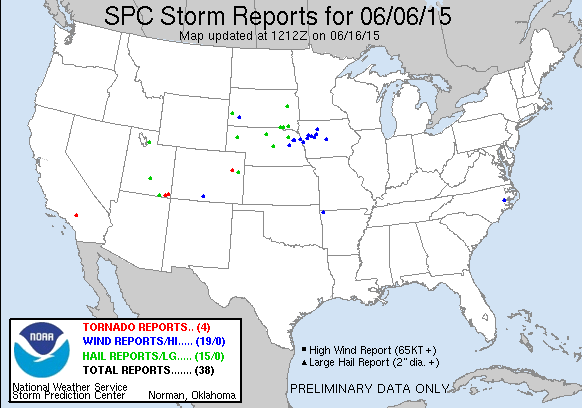 June 4 and 5 were huge Colorado chase days with multiple photogenic tornadoes. June 4 especially near Simla. I was sidelined those days, however. The TIV crew was out but the setups looked too marginal to bring the Doghouse support vehicle out as well, in which I was navigator/forecaster. I had just been out for a week with them, so I was needed back at home and couldn't make it out to chase by myself either. June 6 was the weekend, however, and I wanted a piece of the action. Capping looked like a problem but I was desperate having missed one of the biggest chase events of the year. SPC got my hopes too with an upgrade to 10 hatched on the 3pm outlook. I've seen huge tornadoes in that corner of Nebraska with those odds. A robust storm went up just outside of O'Neill, NE. I was there to watch it tower. For once I felt like I picked the right target and was in perfect position right at initiation. Would the storm do anything though? 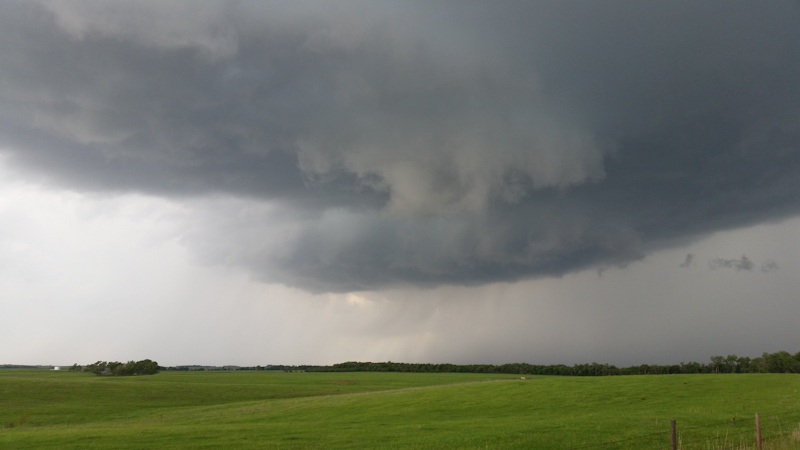 The storm started to cycle with a classic supercell updraft base and the beginnings of a wall cloud with RFD clear slot. I was pretty optimistic I was about to get a nice show. 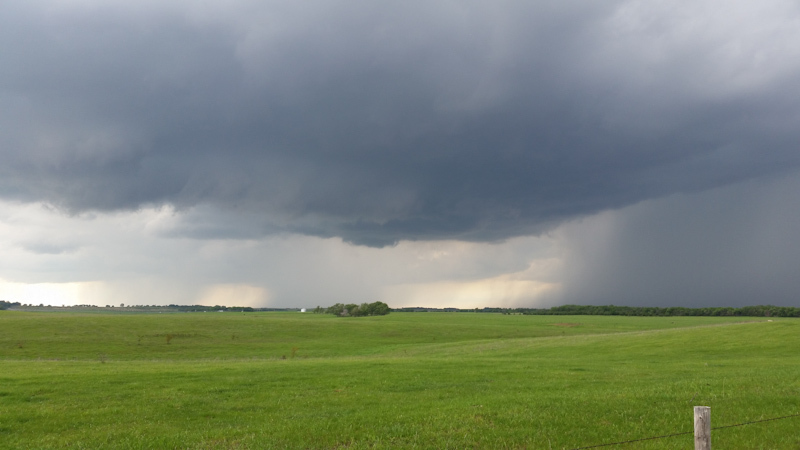 The storm passed by to the north with a wall cloud and RFD clear slot. It wouldn't produce, though. The structure soon fizzled. The storm fell apart, problems with shear and surface flow probably. I caught up with COD briefly to say hi. A storm to the southeast cycled briefly with some supercell structure, but it too failed to produce. When it died I called the chase and camped in the van off I-29 in Iowa. I was deperately trying to get in on the action after the big Colorado setups the previous days. Of course the weather wasn't good for a third day and the weekend warriors busted in Nebraska, despite the vote of confidence from SPC. Don't chase out of desperation merely because you missed big events the previous days.